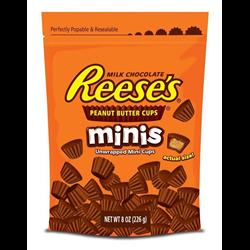 American Easter candy from Peeps, Reese's, Hershey's, Giant Candy Co and many more! Easter There are 11 products. 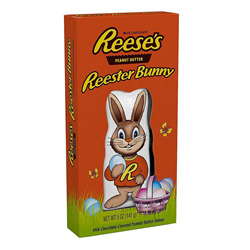 Reeses Peanut Butter Reester Bunny - Peanut Butter Filling With a Chocolate Coating Shaped into a Bunny. 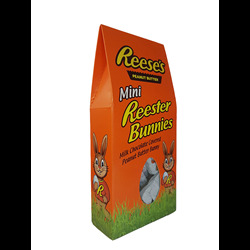 Reeses Peanut Butter Mini Reester Bunnies - These Cute Little Individully Wrapped Bunnies contain a Peanut Butter Filling With a Chocolate Coating. 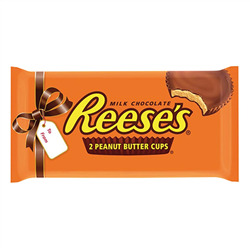 The Long Awaited Reeses Peanut Butter Creme Egg! 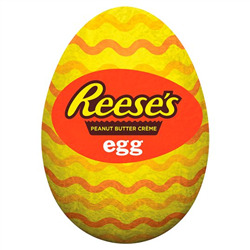 The Eggs are individually wrapped, have a smooth Peanut Butter Creme Filling With a Crunchy Chocolate Coating. Giant Candy Co Gummi-Cola Bottle. 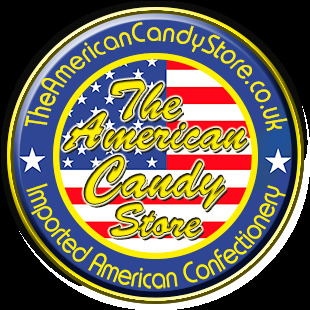 Giant Cola Flavour Gummy Bottle 200 times the size of a regular gummy, ideal for parties and Gifts. Giant Candy Co Massive Gummy Poop. Giant Gummy Poop Bubble-Yum Flavour (Bubblegum), Ideal For Parties and Gifts. Giant Candy Co Gummy Dummy. Giant Fruit Flavour Gummy Dummy, ideal for parties and Gifts.